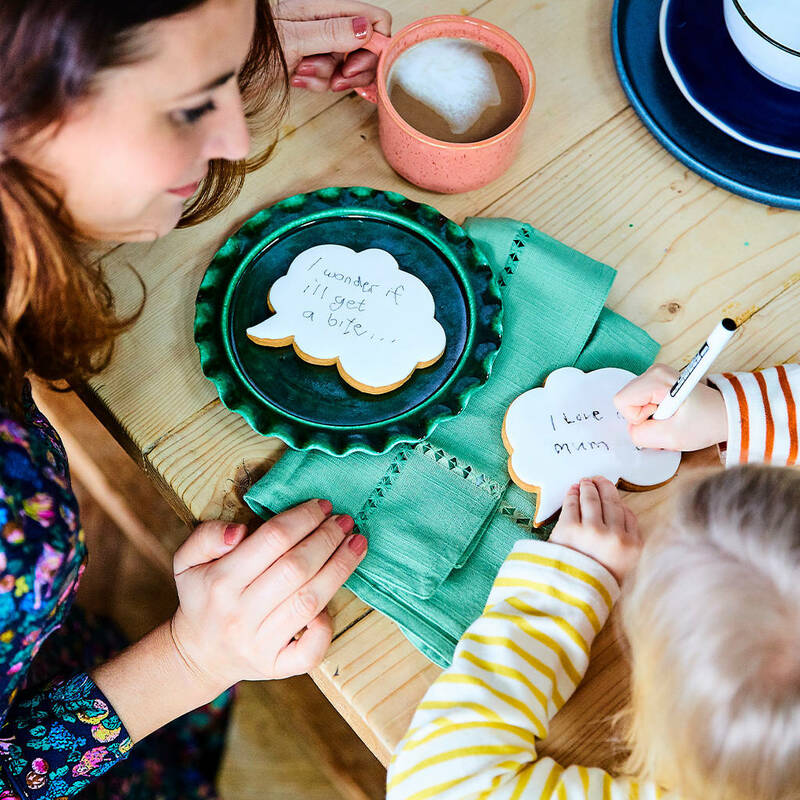 Say it with a biscuit. 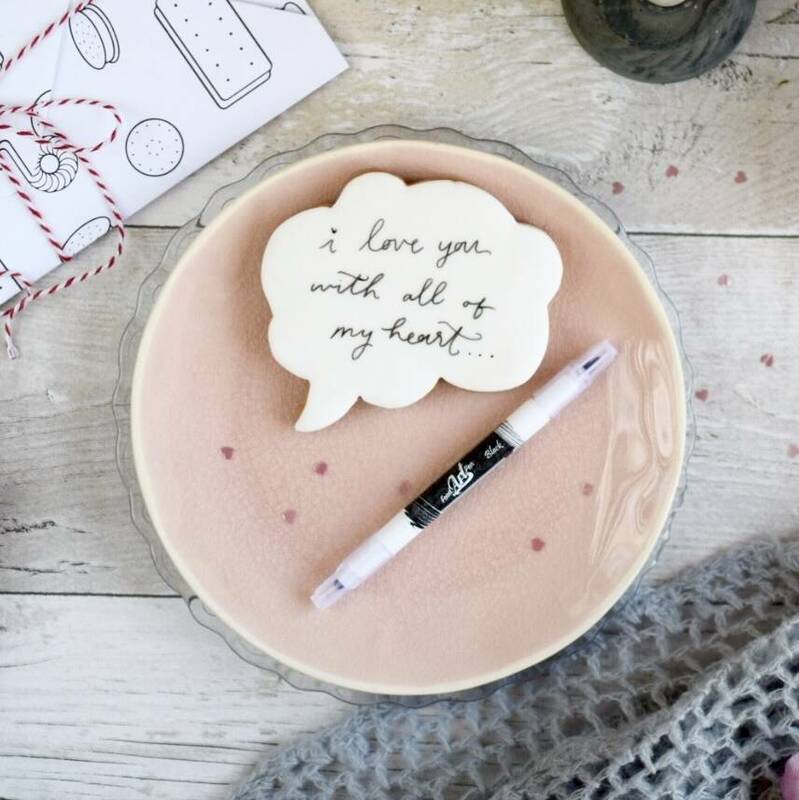 A delicious white iced speech bubble, with an edible ink pen. 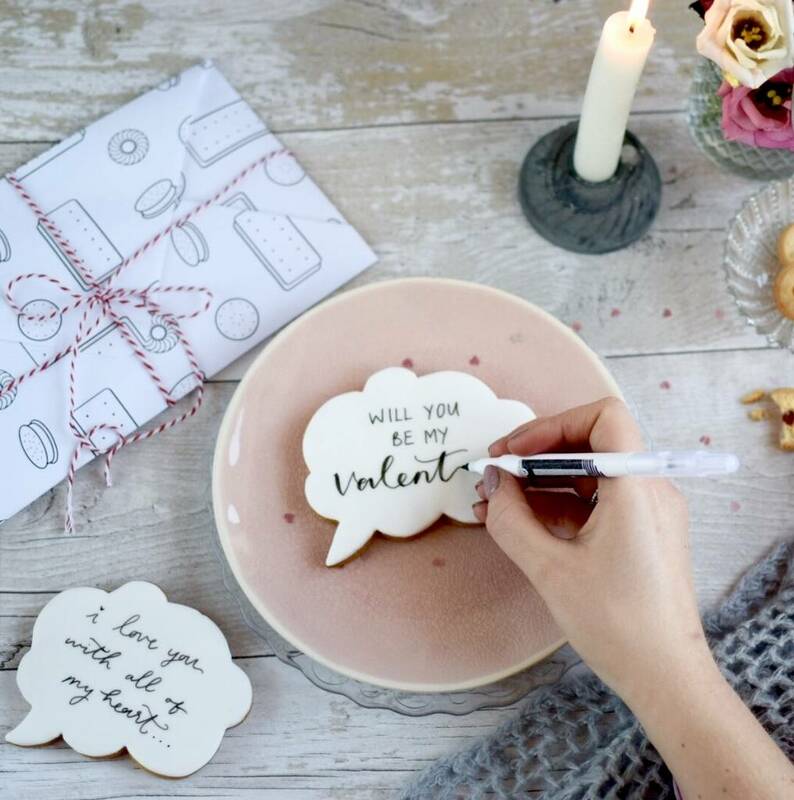 Add a personal note and give to your loved one! 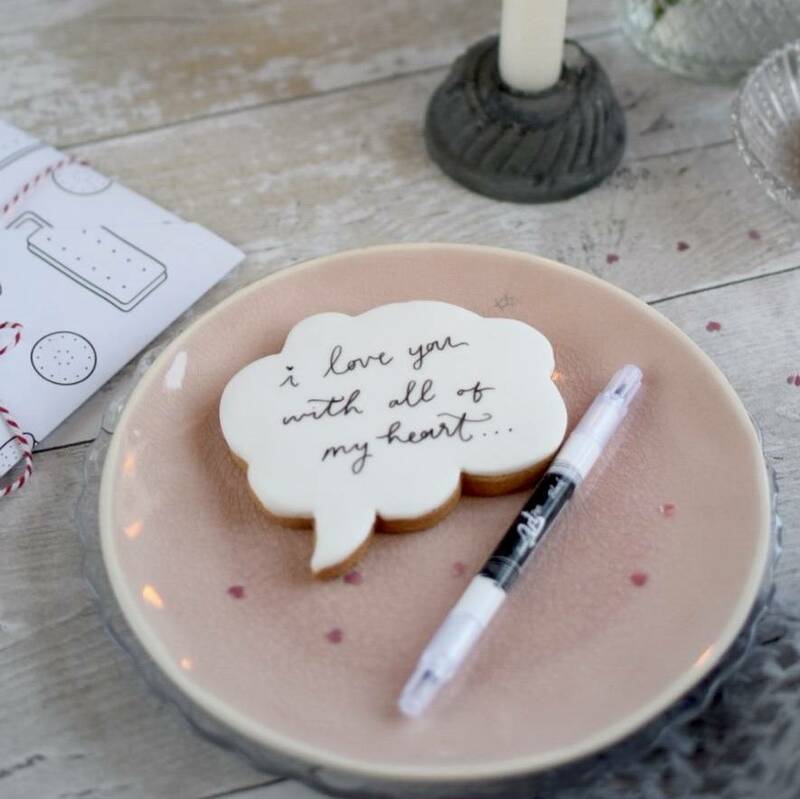 Includes one large vanilla biscuit, handmade and individually decorated. 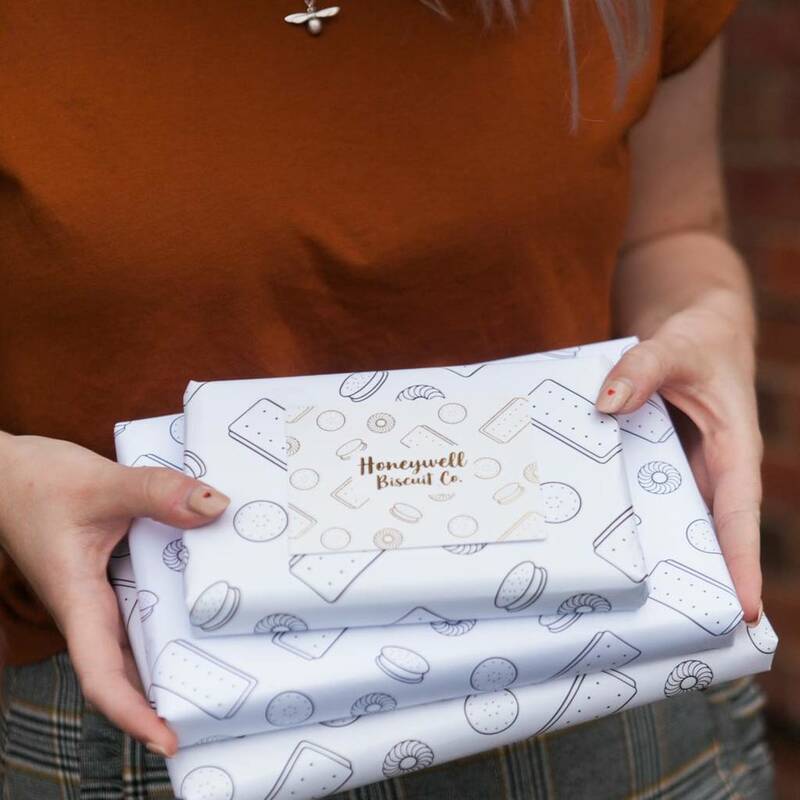 The biscuit is carefully packed into a sturdy, pretty matchbox style gift box designed to transport them safely though the post. Suitable for vegetarians. Made in a kitchen that handles nuts. Ingredients: Biscuit: British flour, British sugar, British butter, golden syrup, Free Range eggs, Vanilla. Ready made fondant icing: glucose syrup, RSPO certified sustainable palm oil, emulsifier E471 or mono-and diglycerides of fatty acids, stabiliser E413 or xanthan gum and cellulose, acidity regulators E260, E262, preservative potassium sorbate and natural flavouring. Allergens include: gluten, eggs and dairy. Colours may include some of: E422, E1520, E551, E110, E124, E129, E133, E155, E102, E122, E153, E104, E159.